Being a man of leisure brings huge compensations. I'm free to do what I like, when I like. I don't even have to plan very much. I get up in the morning, and wonder what I will do today. Just going with the flow is quite liberating after a life time of deadlines and clock-watching. I began the day having coffee in West Bridgford with friends, and as we were leaving, a new exhibition was mentioned about midwifery which was being held at the DH Lawrence Pavilion in Highfields Park by the University of Nottingham. So I would head there as it was a new exhibition area for me, and definitely a subject matter that I hadn't considered before. 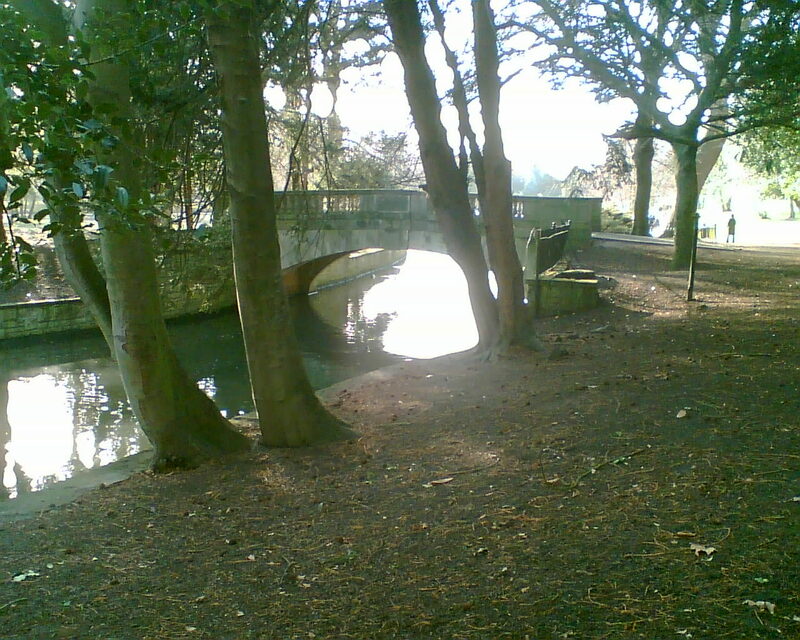 Highfields Park and the University Park are often confused as they are next to each other. 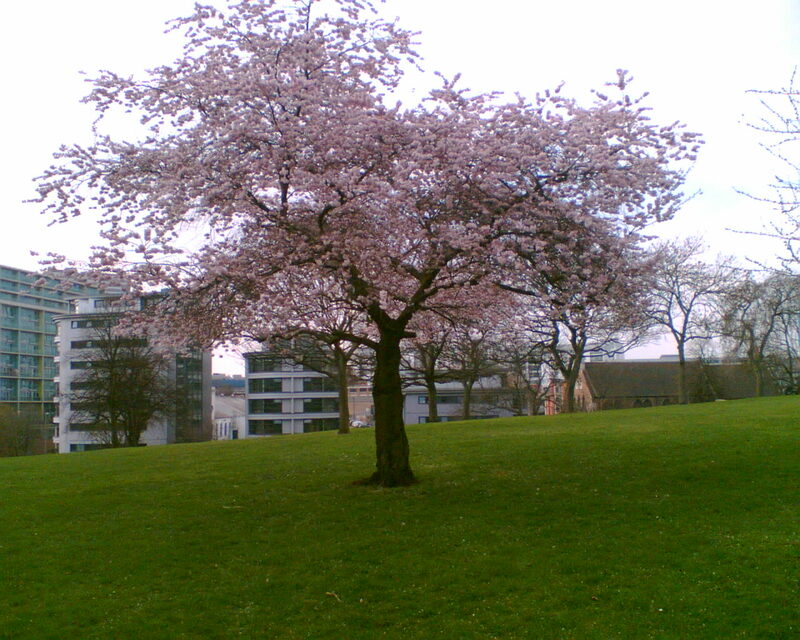 The University Park is where the University it situated and it overlooks Highfields Park. The latter park has nothing to do with the University, and was bought by Sir Jesse Boot (founder of Boots the Chemist) in 1920, and later donated to the City of Nottingham who have responsibility for its upkeep. He stipulated that the area must be free for ever for the residents of Nottingham to roam in. The City has been very fortunate over the years to have two outstanding benefactors in Sir Jesse Boot and Sir Harry Djanogly, who have contributed millions of pounds towards leisure, education, employment and the arts. 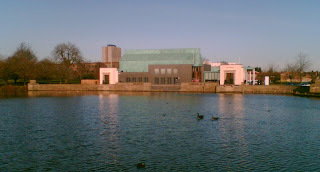 The DH Lawrence Pavilion pictured above, is the last piece I believe, in the creation of the Lakeside Arts Centre, situation around Highfields and University Parks. I found my exhibition in the Weston Gallery at the Pavilion, and it was called, "Mothers and Midwives". Though a small gallery, I must say that it was a very interesting history of maternity in the East Midlands, with many fascinating documents on display from the University's archives. It was well put together, with two areas being of particular interest to me. One concerned the reasons why midwifery became a medical rather than a domestic event. There is a talk next month given by the curator of the exhibition and called "Home to Hospital" - I may not have the courage to attend. The other interest was on the subject of male midwives. I had unthinkingly assumed that this was a fairly modern thing, but apparently it certainly goes back to the 17th Century. On returning home I read a number of Internet articles giving the views of would-be Mothers on this, and though the majority were in favour, others were quite strongly opposed to it. A good exhibition though. On leaving the Weston Gallery, I noticed that in the next gallery, The Wallner Gallery, there was a Chinese photographic display as part of celebrating the Chinese New Year. 2012 is the Year of the Dragon, which for some strange reason pleased me, and the University, along with various City and Borough Councils are celebrating this fact. The photographic exhibition is described like this. "This stunning series of photographs are taken from a vast collection of images by the two documentary photographers Yuan-Hsiung Wang and Xue Qian. Both are concerned to capture the rapidly changing nature of the environment and the way of life and culture of some of the 56 different ethnic groups who live in China". 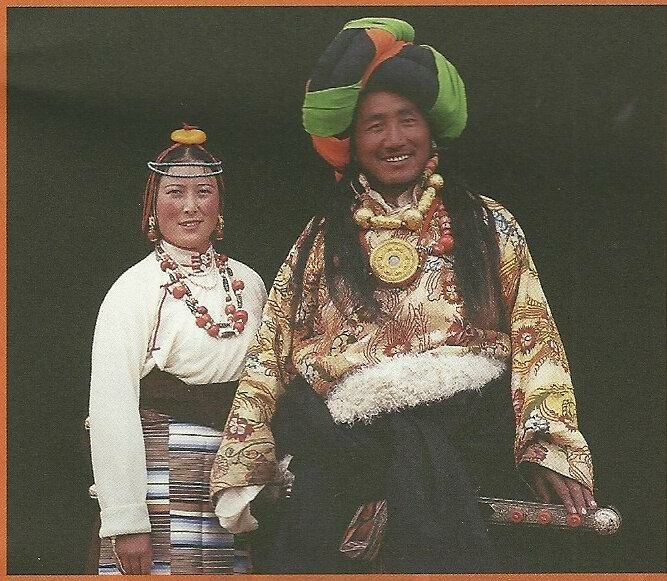 The photographs are a mixture of people and landscapes, and they are breathtaking. There is one shot of a brilliant red countryside, which is the result of the natural red soil turning even more red following rain. It is awesome, and I wanted it. This exhibition was an unexpected delight. 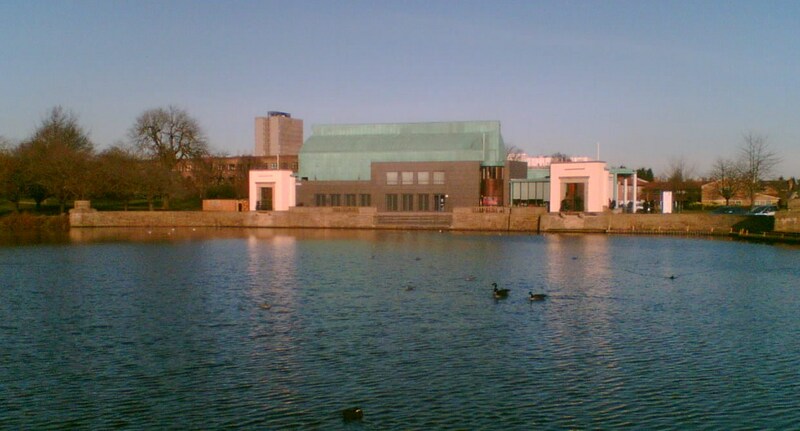 Coming out of the DH Lawrence Pavilion, I decided that as it was beautiful and sunny to go and sit by the lake. The information board said that the walk around the lake was a distance of about 1.25 miles, so I decided that as this was a day for new adventures that I would make the walk. By the end my feet were telling me that this was way longer than 1.25 miles, but over the last couple of years I've come to mistrust my appendages, so I believed the City Council. I think that Highfields Park has now replaced the Nottingham Arboretum as quite my favourite park in the City. The lake has a few islands, bridges and masses of wild life. The path around the lake is simply wonderful; in parts you could almost believe that you are in lonely woodland, which must be exacerbated when leaves are on the trees. Up to 2001 there was a pleasure boat that took parties of people around the lake, and I believe that the Council are seeking funds to renovate the "Maid Marian", and to start the trips again. I do hope that they're successful. I know that I'm fairly easily pleased, but today has been another great day in this wonderful City. I've exercised, enjoyed the beauty of nature, and been challenged by art. Going with the flow was a good choice. 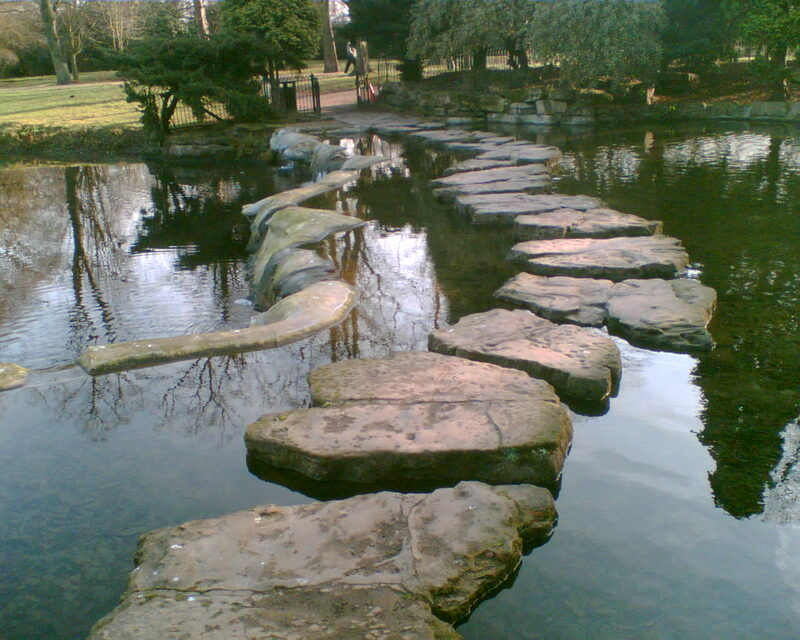 Here's a few more of my photographs around the lake in Highfields Park. 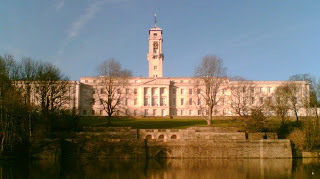 In a few days time I will have been living in Nottingham for two years. Family issues and other interests have meant that I haven't blogged for over a month, and my loyal reader has probably passed on to pastures new. However, I thought that I'd return to the blog with some reflections on Nottingham. I moved here in January 2010 following early retirement from a job on the South Coast. After twenty years there, I needed to get away, and Nottingham was ideally placed to be nearer my children. I don't see me spending the rest of my life here, as I feel that there's perhaps one more move left in me. When and where that move will be is anyone's guess, and I'm certainly not in any hurry. 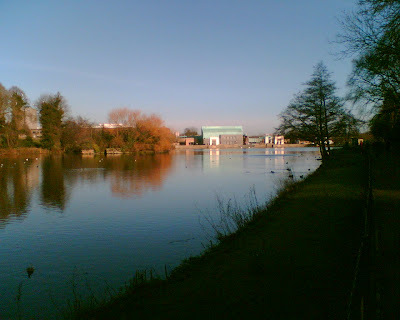 For those who don't know this area, technically I live in the Borough of Rushcliffe, in the County of Nottinghamshire, as the River Trent separates us from the City of Nottingham. The County Council is controlled by the Conservatives, who though having 20 seats more than the next largest party, have a small overall majority of 3. The City Council is quite different, in that out of 55 seats, 50 of them are Labour members, which means that they have total control. Being a political sceptic, the policy differences between the parties are not easy to detect. Long gone are the days of ideological battles over state ownership, welfare, health, employment and education. Previous Labour Government wooing of 'middle England' and 'big business', saw an end to all of that. Now it's not about ideology, but packaging and presentation. This is one of the reasons, where apart from doing one's duty with a cross at the ballot box, I have little interest in politics. A month away from blogging has obviously not cured my tendency to meander towards a point. So here's my reflections on the last two years. I love Nottingham. There is so much of beauty and interest here. Where I live in West Bridgford is a few minutes away from Trent Bridge, which I have to go over every time I go into the City. From the bridge you can almost touch Nottinghamshire County Hall, Rushcliffe Civic Centre, Trent Bridge Cricket Ground, Nottingham Forest Football Ground, Notts County Football Ground, and the 'world renowned' Trent Bridge Inn, which was recently bought, and beautifully restored by Wetherspoons. I have spent many hours walking in both directions along the River Trent, and I never tire of doing so. Also close to the Trent Bridge is the entrance to the Nottingham canal, which makes its way through the City centre, a mile away. I have often walked along its path, which is made even more interesting by the boats and fishermen. Being a country boy at heart, the open green spaces in the City have been a particular joy. The Embankment along the river, and the Memorial Gardens just off it are always a delight, particularly in the Spring and Summer. My local park is Bridgford Park just behind our shopping street, and while not big, has been a solace in the early evening Summer sunshine. In the built up Victoria area I found St Mary's Rest Garden, next to the Victoria Park. I take a longish walk from home to get to it (it's obviously quicker by bus), but I have found it to be so peaceful, which some might find a bit strange given its location. And of course to top it all is my favourite green space of all, the Nottingham Arboretum, which I have mentioned many times in my blogs. In addition is the University Park where the main campus is of the University of Nottingham, and which is open to the public. And there is much more. I have often thought that there is more access to green spaces in many Cities than there is living in the country, because so much there is privately owned. 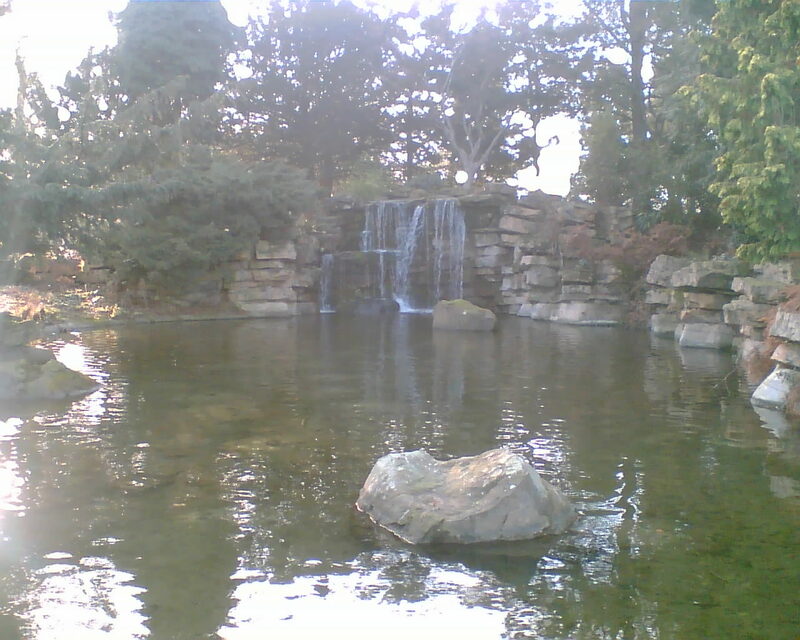 So, I love Nottingham because of its waterways and green spaces, but there's more. Being someone who loves beautiful and historic buildings, I have been in my element these last two years. Among the favourites that I've visited have been Nottingham High School, Bromley House subscription library, the Arkwright and Newton buildings, Council House, and the beautiful buildings on the divide between King Street and Queen Street. The Lace Market area is particularly rich in heritage, with St Mary's Church, the Galleries of Justice and the former lace making building owned by Thomas Adams, which backs on to Lace Market Square. There's many more that I have enjoyed looking at, and looking around. 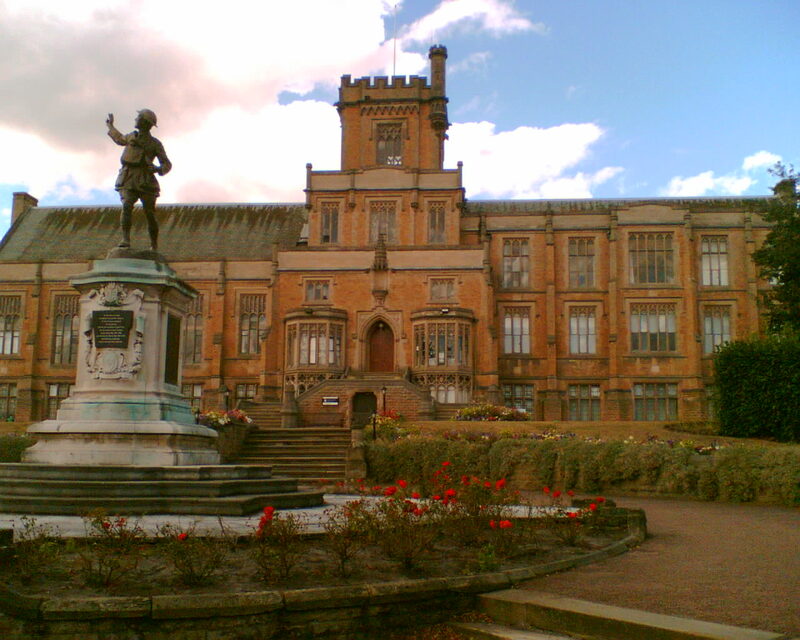 Of course, no mention of buildings would be complete without mentioning Nottingham Castle. I wonder if this building comes as a bit of a disappointment to some visitors, as the reality of the building is far from what visitors would expect a castle to look like. 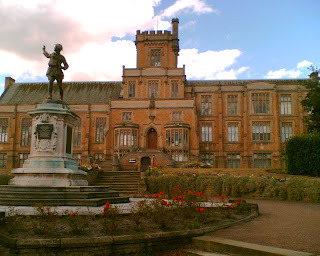 It may be now more a palace than a castle, but it's still a magnificent building, and a very fine museum. On the arts side, I have made regular visits to Nottingham Contemporary, New Art Exchange and very recently the Djanogly Arts Centre at the University of Nottingham. There is also much to do with Theatre, Cinema and the live music scene. Nottingham undoubtedly has its problems, and no doubt that this blog comes over as a bit of a love-in, but this is how I genuinely feel about the City and the surrounding area. I hope that 2012 will be as enjoyable as 2010 and 2011. Sheriff of Nottingham: Wait a minute. Robin Hood steals money from my pocket, forcing me to hurt the public, and they love him for it? Sheriff of Nottingham: That's it then. Cancel the kitchen scraps for lepers and orphans, no more merciful beheadings, and call off Christmas.